Apple Music and lyric database Genius today announced a partnership, allowing Apple Music subscribers to visit Genius and play any song in full on the song's lyric page. This will work both on the Genius website and in its iOS app. 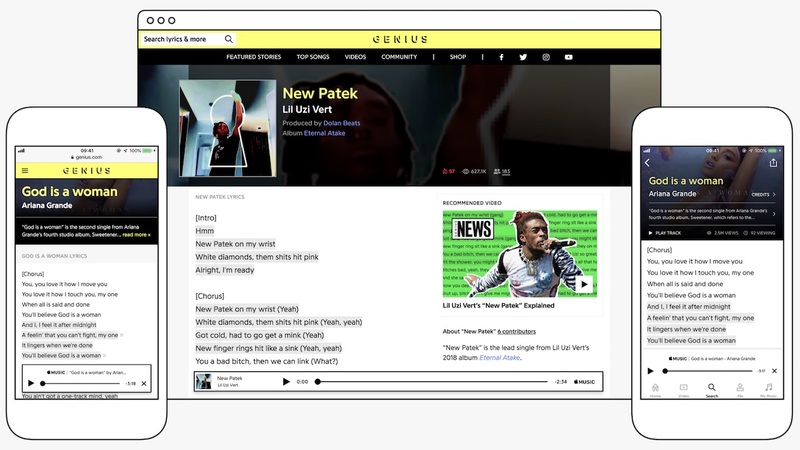 The partnership will also beef up Apple Music's own lyric database with Genius's information, providing the music streaming service with lyrics to "thousands" of songs. Apple first introduced lyrics in Apple Music with the launch of iOS 10 in 2016, and now the feature will be enhanced with Genius. To use the Apple Music player on Genius, search for any song, and then tap "connect account" when the player pops up. This process will require you to allow Genius to access your Apple Music, media library, and listening activity, and once you accept you'll be able to listen to full tracks within Genius on the web (desktop and iOS mobile web) and in the iOS app. In Apple Music, you can check on a song's lyrics by tapping the ellipsis icon at the bottom right of the player screen on iOS, then tapping "Lyrics." Not every song supports lyrics, and it's unclear how soon the Genius encyclopedia of lyrics will be added to Apple Music. Thank goodness. Some of the lyrics in Apple Music are so wrong, you'd think they used Siri to populate them. New patek on my wrist. Yeah. White diamonds, them s**** hit pink. Yeah. Got cold, had to go get a mink. Yeah. New finger rings hit like a sink. Yeah. Yeah. You a bad b****, then we can link. What? What are these garbage lyrics? I am so glad I left hip hop years ago. Maybe stop listening to terrible hip hop? There's plenty of great artists out there with amazing lyrics. Kendrick just won the Pulitzer Prize for music with his latest album. "Thousands of songs" doesn't sound like a lot. Maybe a 1 person company? I've been viewing lyrics on songs from my iTunes library since the iPod Classic days. It finally died with the Sierra or High Sierra update, but I used to run a little shareware app called Get Lyrical that would look up lyrics to anything in iTunes and then copy them into the song file. Even now, a huge percentage of my library has lyrics in it, which is great. Hopefully they implement it better than in Spotify. It’s highly annoying that there is no toggle to switch between “Behind the lyrics” facts and the actual lyrics. No thanks. I don't want to share my personal information with yet another third party. Hopefully it's not the same as the Spotify version which just gave you random facts while trying to follow lyrics. IMO this is necessary functionality for any decent lyrics feature.